Whether you are a commercial or residential property owner in Calgary, when the snow flies, you have legal responsibility for clearing the stuff from your publicly accessible walks in a timely fashion. 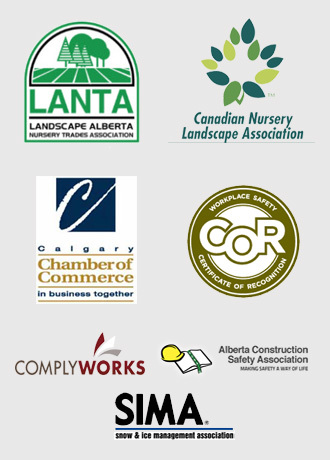 At Mirage Landscaping we have over three generations’ worth of experience helping our clients meet their snow removal obligations under Calgary’s Street Bylaw 20M88, Sec. 67. For those unfamiliar, this bylaw dictates that within 24 hours of the last snowflakes hitting your property, you must have all of your public walks adjacent to your property cleared of snow and ice, leaving a walkway at least 1.5m in width. If you don’t clear your walks by then you are subject to warnings and fines. If you are a commercial property owner with a home in the city, you have twice the sites to deal with. Just take a moment and recall the snow we received last winter. We were scrambling to deal with it, but still met our responsibilities of performing snow removal for you within 24 hours of it falling. Contracted snow removal provides peace of mind should you decide to go on a winter vacation. It’s one thing to ask the neighbour to keep an eye on your house while you visit Palm Springs, and quite another to ask him or her to go out to clear your walks after a snowstorm. There is yet another consideration to ponder should you not have arrangements made for snow removal while you are out of town. Uncleared walks are not only going to attract city bylaw enforcement personnel, they are a dead giveaway to burglars that your home is likely uninhabited at the moment. Hiring Mirage Landscaping is a solid move to assist you with year-round theft prevention. As stated, in the winter we remove snow as fast or faster than you would get to it yourself. During the rest of the year, we also make your house look constantly cared for while you are away on business or vacation. A regularly trimmed yard and landscaping maintained so as to not create any privacy havens for thieves go a long way towards keeping you home from being “cased” as a potential target. Here are some more simple tips to keep your house from being made as an easy target while you are away. Stop your mail and newspaper deliveries until you return. Nothing says, “I am not here,” faster than does a pile of newspapers stacking up on the stoop. Stickers on the door declaring undelivered mail or even forgotten packages piling up at the door are also dead giveaways. It’s dead simple to get to know your neighbours and then trade house sitting services with one another. Start small, by turning over your mailbox key. Consider a small investment in hard-wired motion detecting lights. Another tell-tale for crooks is a porch light burning 24/7 without fail. Another simple trick is to get a yard sign that purports to be from an alarm company. Even if not a totally believable deterrent if the sign is not from one of the big names in the alarm industry, a determined thief will likely move on to a house that features no such sign rather than risk being wrong about yours. Physically lock your garage when you are away. Many people forget to lock out their garage doors while they’re away. Say a car prowler breaks into your vehicle at the airport. Your address, and if it’s older, a garage door opener, is in there for the taking. If your system is “home linked” to your vehicle, they now have a virtual key to your home if you didn’t lock out the system. Home security starts with Mirage Landscaping. 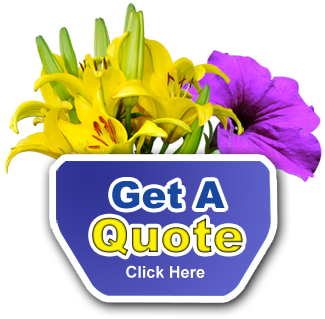 Contact us for a free quote on keeping your home look well cared for whether you are at home or in another country.